Defense Minister conveys threatening message to Iran through Saudi media in London, emphasizing Israel won't tolerate Iran in Syria. 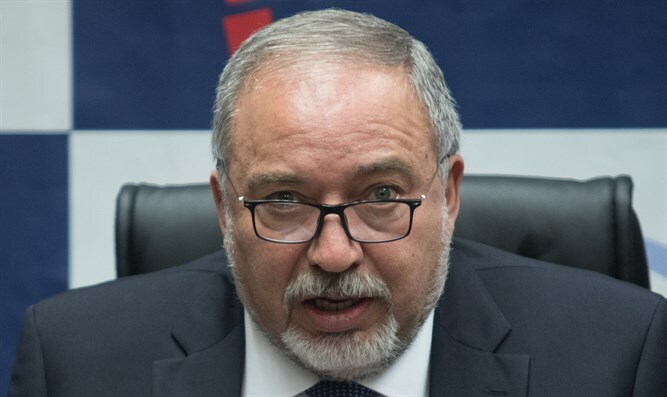 Defense Minister Liberman emphasized that Israel would not tolerate an Iranian strike on Israel, asserting that Israel would not hesitate to strike Tehran in such a case. “These are the final days of the Iranian regime,” Liberman warned, emphasizing that “if Iran attacks Tel Aviv, Israel will strike Tehran and destroy every Iranian military site that threatens Israel in Syria, whatever the price." The warning comes after The secretary of Iran’s Supreme National Security Council, Ali Shamkhani, vowed on Tuesday that Tehran would punish Israel in response to the recent air strike on the T-4 airbase in Homs, Syria, in which several Iranian soldiers and officers were killed. "The Islamic Republic paid a high price to establish regional security and to fight radical Islamic terrorism, and therefore it cannot sit idly by in the face of the alarming escalation which undermines security that is expressed in the steps of the United States, the Zionist entity and some of their allies," Shamkhani said.